If you need glass (including safety glass) repairs or replacement on your light or heavy-duty equipment or fleet vehicles, Fusion Glass can get the job done fast and at a competitive price. We can replace glass in all types of heavy equipment for any application, including construction, landscaping and farming, as well as oilfield industries. Our services are mobile, so there’s no need to come to us—just give us a call! 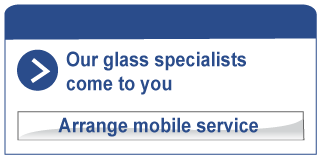 We’ll dispatch a trained glass specialist to your location, getting the problem handled in no time so you can get back to work. Contact us now to book an appointment or request a service quote.